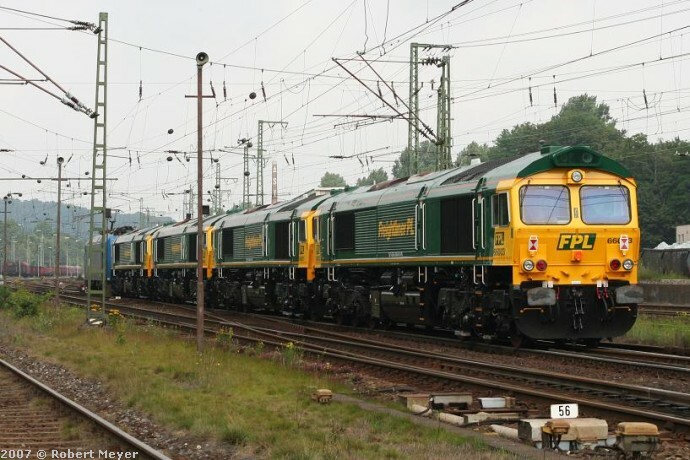 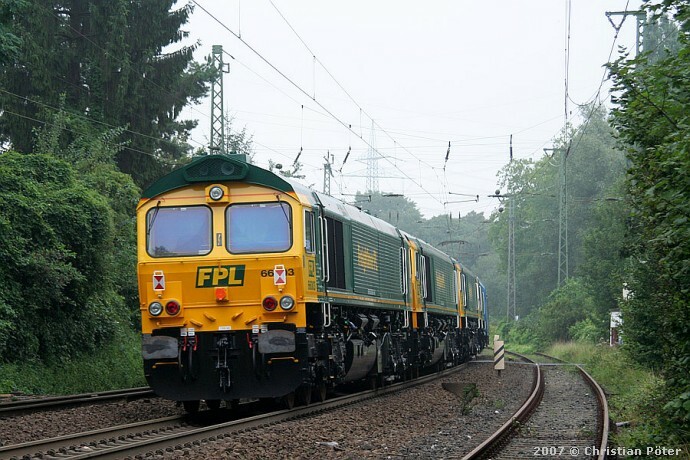 Finally, after several months of final assembling, the first four Class 66 locomotives for Freightliner Poland, were released from NedTrain works at Tilburg (The Netherlands). 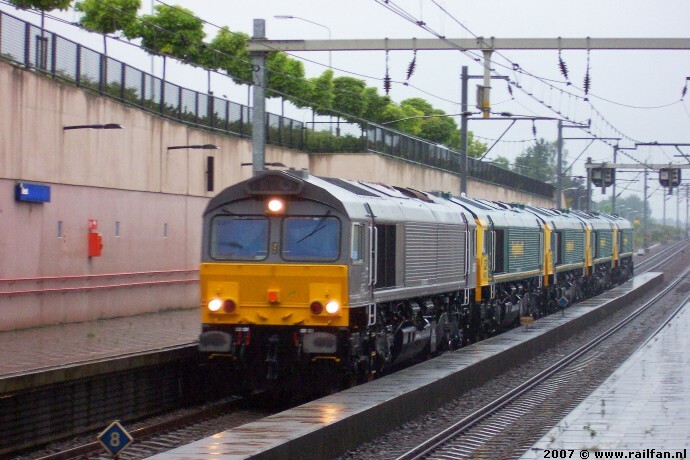 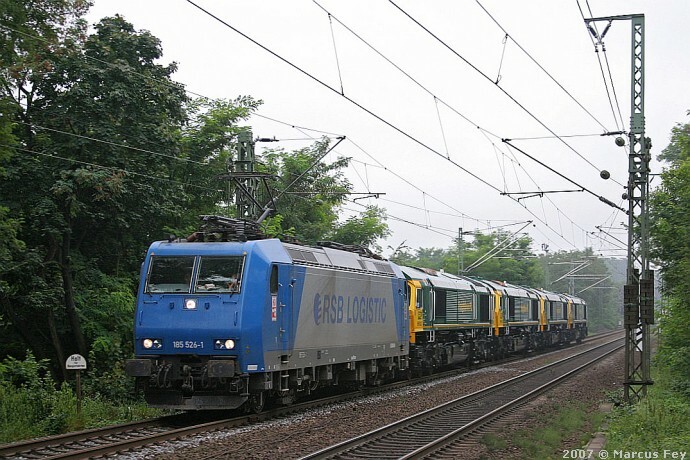 On the 9th of August 2007, the loco's 66001-66004 (EMD 20058725-002/-005) were transported to Venlo (NL) by DLC DE 6307. 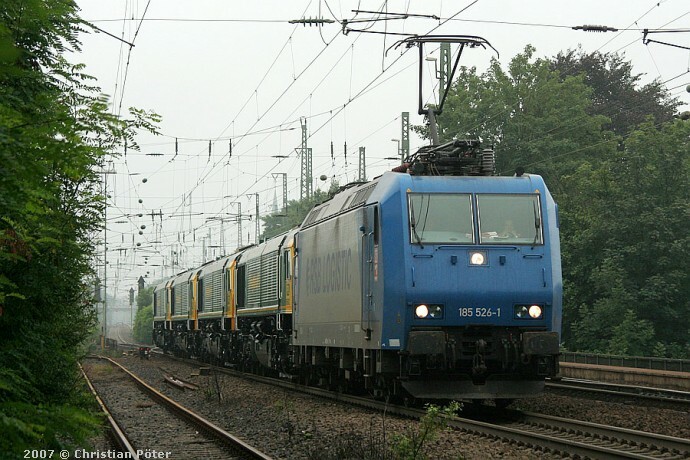 The transport through Germany to Poland was done by HGK 185 526-1 on the next day. 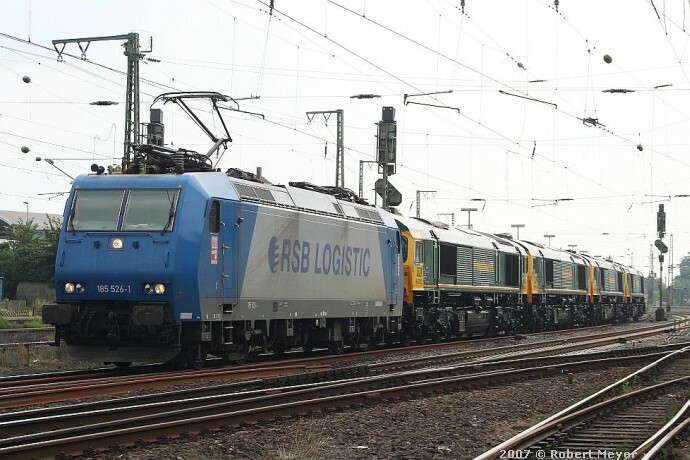 The other three loco's for Freightliner (EMD 20058725-012/-014) are still at Tilburg and will go to Poland later this year. 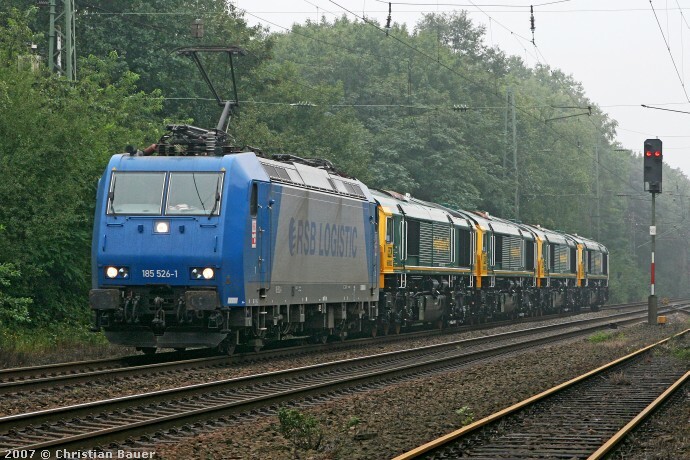 Thanks to everyone for sending pictures!